Hanami (花見) or cherry blossom viewing is a popular past-time during the spring in Japan. The Japanese love to celebrate this time of year with hanami parties under the blooming cherry blossom trees. It is a traditional custom that has taken place for hundreds of years to appreciate the beauty of the flowers. 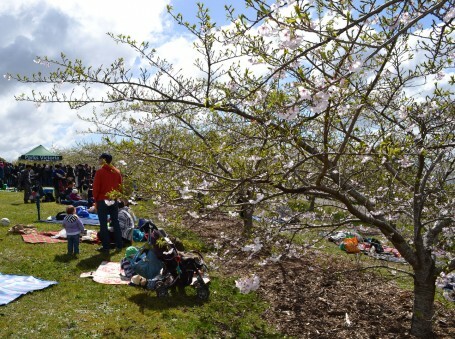 Hanami parties can take place during the day or night and usually involve a lot of eating and drinking. They are kind of like a picnic party under the trees. Typical food includes store bought bento boxes, home-made meals or BBQ, and drinks such as beer and sake. They can even involve some karaoke singing if the time and mood is right, especially at night. Hanami at night is called yozakura (夜桜) which means night sakura, and is popular at most places. A lot of people like to head to a hanami spot after work and enjoy the cherry blossoms under the night sky. 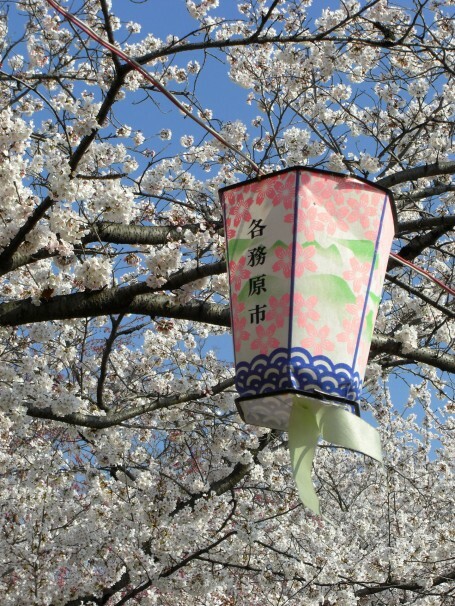 The Hanami season is usually late March to early May, depending on the location in Japan. 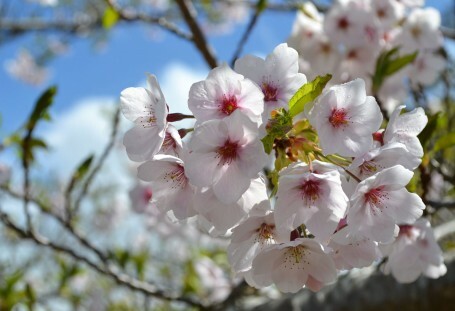 The cherry blossoms start in the southern islands of Okinawa and move north until they reach Hokkaido. To show how important this custom is to the Japanese, there is even a cherry blossom forecast (桜前線) which is announced each year by the weather bureau to predict the best time to view the cherry blossoms. This is very important as the blossoms only last a week or two. You also need to get in early for some of the best spots to reserve your position. This involves getting to the area first thing in the morning and placing your picnic sheet down for the day. A lot of people are also really prepared and will bring just about everything including tables, chairs, bbq sets, and karaoke machines. 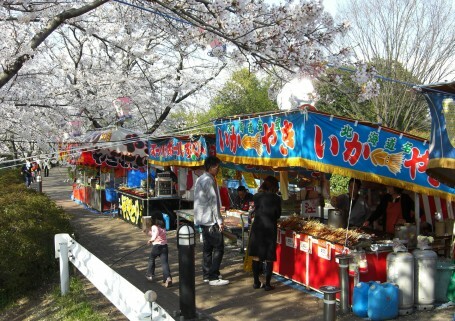 Many places where you can view the cherry blossom have paper lanterns on the trees, and street vendors selling all sorts of delicious festival food. 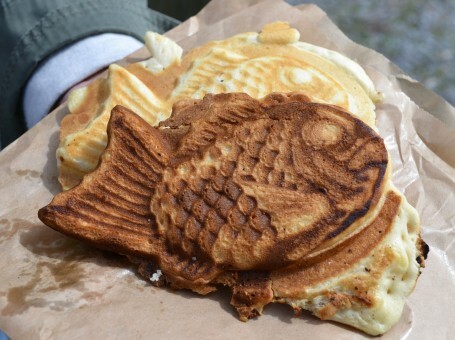 Some of my favourites are yakisoba (stir fry noodles), takoyaki (octopus dumplings), okonomiyaki (savoury pancake), and taiyaki (fish shape cake). Japan is beautiful during each of its four distinct seasons and there are plenty of great deals available for the keen traveller. ANA is currently running a campaign for tourists to Japan called Cool Japan. You can visit anywhere in Japan for only 10,500 yen. During the viewing it must be nice, but I heard that the blossoms get ugly after the season is over heh.